Wow it's been a while since I posted! It's not that I haven't been working on things, just haven't had a chance to share! The small trailer is coming along. Will be posting some pix and tips soon. For now, here's a trip down memory lane. Since I cleaned the cover and was moving the house, took a few new pix. This was always one of my favorite projects. 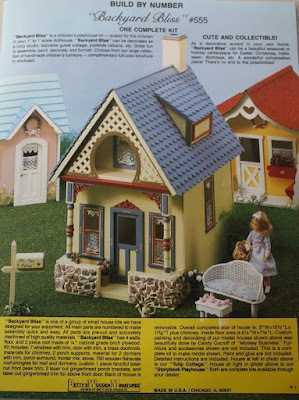 I bought this kit years ago when my local dollhouse store was closing. It was labeled as a kid's playhouse, though it is half scale. 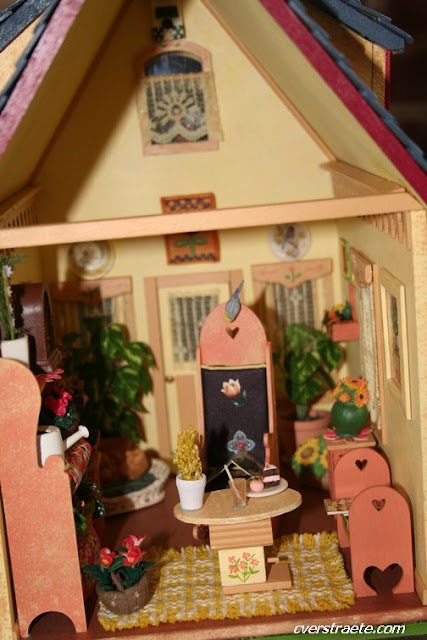 I used smaller 1" scale furniture inside and outside. I kick myself that I didn't buy the other kit at the time. ** And it seems every time I take a pic, then I see something wrong after. Like the bird (Cockatiel) hanging down on the chair inside. Oh, he's just looking at something. haa! The stones in front and on the chimney are those polished colored stones. I put them in tinted lightweight spackle. 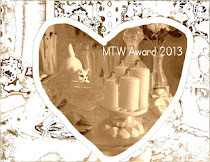 (stucco) The bird on the chimney is from Barbara Meyer, Mini Gems.